Our worship service each week begins with words of peace and welcome and we hope that you feel the welcoming grace and peace of Jesus Christ each time you are here. First Presbyterian Church Peachtree City is a growing, intergenerational congregation with a dynamic worship that empowers people of all ages and diverse backgrounds for the adventure of serving Jesus Christ in the world. I invite you to join us anytime; our doors are open! The town’s first church met in Peachtree City’s municipal building. An Interdenominational Community Chapel was formed in October 1964 with Reverend Cobb Ware serving as the first Pastor. In May 1966 with 25 members, the Community Chapel became the Presbyterian Church of Peachtree City with Reverend Donald Smith presiding as Pastor. Congregants worshipped in private homes and administrative buildings until June 1971 when members erected the First Presbyterian Church building on Willowbend Road upon land donated by the developers of Peachtree City. Please join us each Sunday morning at 11 am for worship service. This is a time to explore your faith and experience God in transforming ways. Just prior to the Sunday worship services beginning at 9:30 am, members meet for more in-depth Bible study in small groups. Reverend Morgan Morse Hay is a graduate of Presbyterian College and Columbia Theological Seminary. Before attending Seminary, Pastor Morgan Hay served Mountain Brook Presbyterian Church in Birmingham, Alabama as the Director of Christian Education. Prior to moving to Peachtree City, she served as the Associate Pastor of St. Andrews Presbyterian Church in Tucker. Pastor Morgan Hay enjoys Mexican food, spending time with family and friends, and finding ways to connect her story to God's bigger story. She is married to Robert Hay, Jr., a Ministry Relations Officer with the Presbyterian Foundation. They have two wonderful children, Stockton and Anderson. Please feel free to contact her with any questions at 770-487-7757 or morgan.h@firstpresptc.org. Pam has been serving as the Administrative Assistant at First Presbyterian Church since December 2012. She came to First Pres with an extensive background in both the nonprofit and for-profit sectors, with considerable experience in the retail field. After earning a BBA in Marketing from the University of Memphis, she has lived and worked in eight states, primarily in the Midwest from Minnesota to Texas. One of her favorite jobs was with Peachtree Editorial, right here in PTC, proofreading Bibles. Her attention to detail, while sometimes a curse, generally serves her well working with the many facets of our busy church. Pam often says that working at First Pres gives her the organizational piece of office work, the people piece of retail sales, and the peace piece of being every day in a beautiful church. David Stivers is a native Ohioan, but has lived in the Atlanta area so long he feels right at home in the South. He is a retired 37-year veteran music teacher with the Fulton County School System. He was selected as Teacher of the Year in 1993 and 2003. Also, in 2003 he was selected as the Fulton County Schools Elementary School Teacher of the Year. In addition to his school work, David has served as music director in various church denominations for 53 years. He has led adult, children, and high school age church choirs, conducted church orchestras, and played guitar and keyboard in church praise bands. His hobbies include opera, knitting, weightlifting, and cooking, and he and his wife Tori can often be seen on Peachtree City’s cart paths jogging, skating, or walking. Bill Pasch has served as organist at First Pres since August 2013, when what he saw at First Pres convinced him to end his brief retirement from organist positions at Lutheran churches in SW Atlanta, Fayetteville, Peachtree City, and Jonesboro (in reverse chronological order), dating back over a quarter century. Honored also to be Composer-in-Residence at First Pres, his choral anthems are published by Augsburg Fortress and St. James Music Press. His hymn texts have won prizes in national and international competitions (including four awards in the highly-regarded Macalester-Plymouth United Church contest in Saint Paul, MN) and have been published in various church music journals. In 2014 he was the featured composer in the online newsletter of the Church Music Institute in Dallas, TX. He also sings, writes program notes, and helps manage performing rights for Griffin Choral Arts. While a lifelong church musician, his formal vocation was as Professor of English and head of the Department of Humanities at Clayton State University, from which he retired in 2007 with emeritus status. Born in Toledo, OH, he earned his bachelor’s degree at Wittenberg University in Springfield, OH, and then went on to earn his MA and PhD at the University of Massachusetts at Amherst (and had served as organist at the campus Lutheran church). He lives in Griffin with his spouse of 46 years, the Reverend Katherine (Katie) Pasch, pastor of Saint John Lutheran Church. His daughter and her husband live in Tucker, and his son’s family (including two grandchildren) live in the Griffin area. Susan is a native of California but was raised in South Bend, IN by her maternal grandparents. She attended DePauw University and transferred to Indiana University at Bloomington, IN. Her degrees are in Music Education: B.M.E. and M.M.E. Susan has served as music director and choir director in several Methodist churches in Indiana and Ohio. She has also had her own piano studio since she was 14 years old and her first job was accompanying in a dance studio. When Susan moved to Peachtree City in 1981, she began a new career in teaching junior high at Booth. She retired from Fayette County Board of Education in 2004. Her two sons live fairly close: Chris (and Liz) in North Augusta, SC and Greg (wife Tami, granddaughter, Alyssa) in Williamson, GA. Susan loves reading, sewing, and making jewelry in her spare time. Christy (CJ) Utt was born and raised in western North Carolina. She attended the University of North Carolina at Asheville, graduating with honors as a Research Scholar. CJ has been blessed to follow her passion in Early Childhood Education for nearly two decades working in preschools, elementary schools, and churches. "Mrs. CJ", as she is known to the children, has been a teacher at Peachtree City First Presbyterian Kindergarten since 2005. 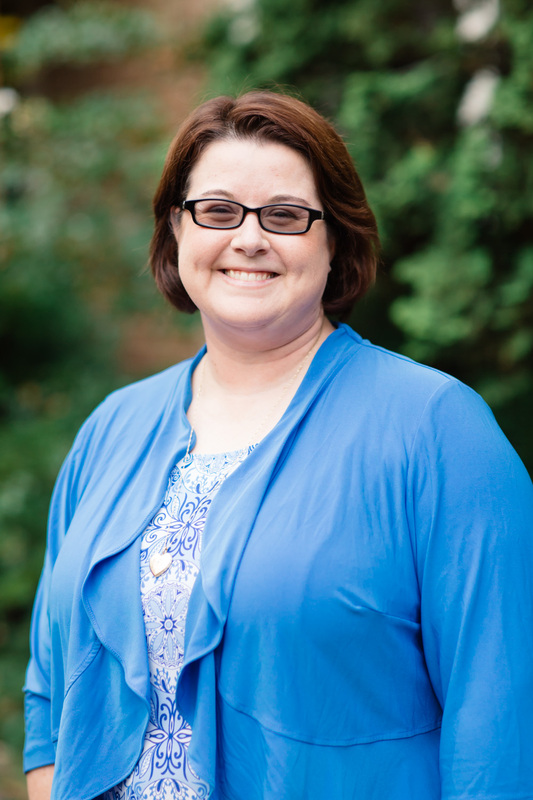 She has been a part of the First Presbyterian Children's Ministry Department since 2005, serving as the Children's Ministry Director from 2014 to 2017. In 2017, Christy became the Director of the First Presbyterian Kindergarten and Preschool and feels so blessed to serve as the Director. CJ loves living in Peachtree City. Golf cart is the best way to travel! She is married to her best friend, and they have two amazing children who keep them wonderfully busy. Mrs. CJ loves riding around town in her golf cart, reading, puzzles, and all things Disney. Katelyn Nutter Dowling is the Director of Christian Education, which means that she works with our children, youth, and their families. Katelyn is a recent dual degree graduate of Columbia Theological Seminary in Decatur, GA, where she earned both a Master of Divinity and Master of Art degree. Katelyn is incredibly excited to partner with First Presbyterian in caring for our children and families. Katelyn is originally from the Great Lake State of Michigan and has a standing appointment on Saturday's cheering on the University of Michigan football team. She is married to fellow Pastor, Micah Nutter Dowling, who is the Associate Pastor for Youth and Families at Newnan Presbyterian Church right down the road. She is known for her love of all things Disney, going down the rabbit hole of suggested videos on YouTube, Presbyerian polity, and crazy patterned leggings!